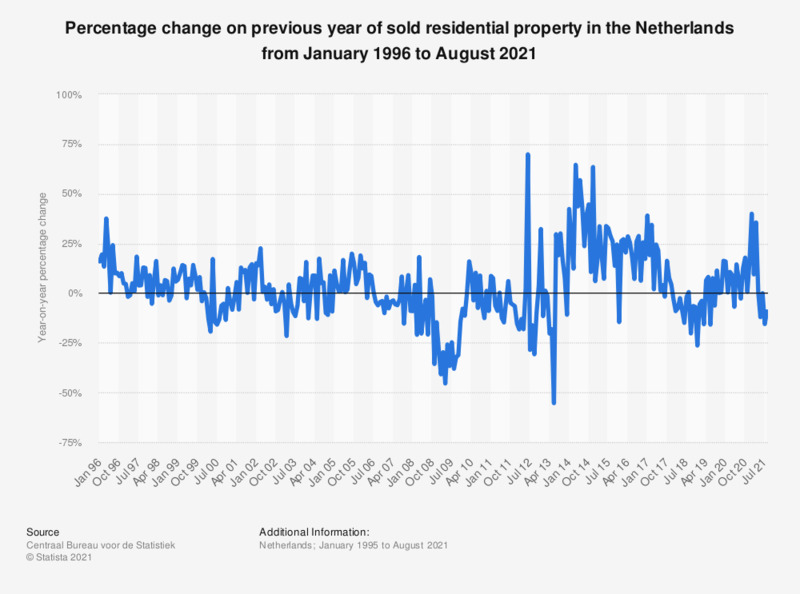 This statistic shows the percentage change on previous year of sold dwellings in the Netherlands from September 2016 to September 2018. In September 2018, the number of sold dwellings decreased with approximately 20 percent when compared to the same period the year before. In 2018, real estate prices are expected to increase with eight percent as a high number of sales, combined with an increasingly scarce supply, are expected to push the housing price up.